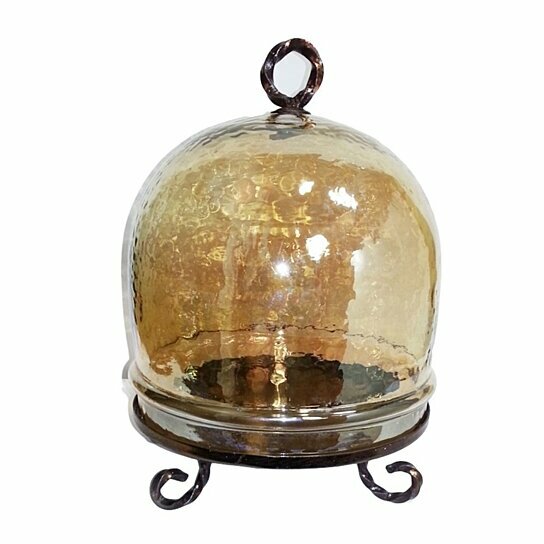 This Glass Dome with Gold Luster will serve as a beautiful addition to the drawing room and kitchen interior. This beautiful decor is crafted of glass with metal base. The dome shape top has a unique amber color. Place this dome in to the kitchen, drawing room or guest?s room. This can hold cookies, biscuits, cupcakes, chocolates etc. It is so beautiful that you can place it anywhere in your house.